The Watson Twins On Mountain Stage Leigh and Chandra Watson's gospel-influenced sibling harmony is the focal point of their albums. Here the duo performs songs from their second CD, Talking To You, Talking To Me, on their first appearance on Mountain Stage. Watson Twins performed on Mountain Stage. In 2006 Leigh and Chandra Watson emerged on the music scene flanking Rilo Kiley singer/songwriter Jenny Lewis on her solo album Rabbit Fur Coat. 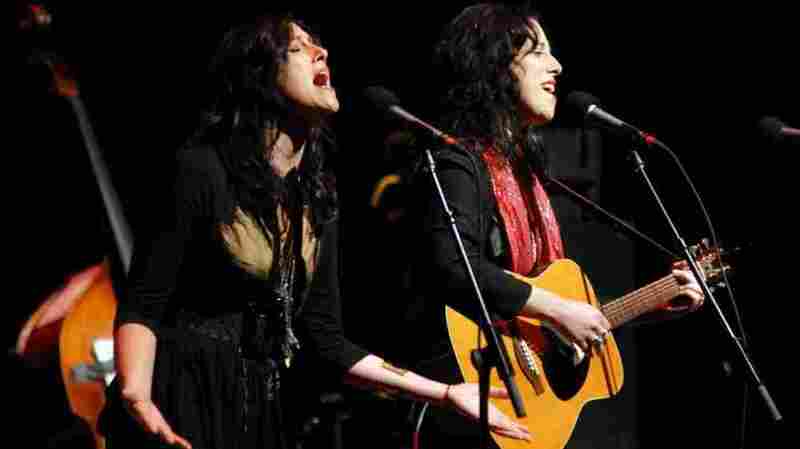 Their gospel-influenced sibling harmony became a distinctive instrument on that record and remains the focal point of their albums as The Watson Twins. Originally from Kentucky, now based in Los Angeles, the Watson Twins had some family in the audience for this episode recorded in Morgantown, W.Va. The duo performs songs from their second CD, Talking To You, Talking To Me, on their first appearance on Mountain Stage. They are joined by Kip Boardman on piano and keyboards.